This panel is a embroidery based half transparency windows curtain. 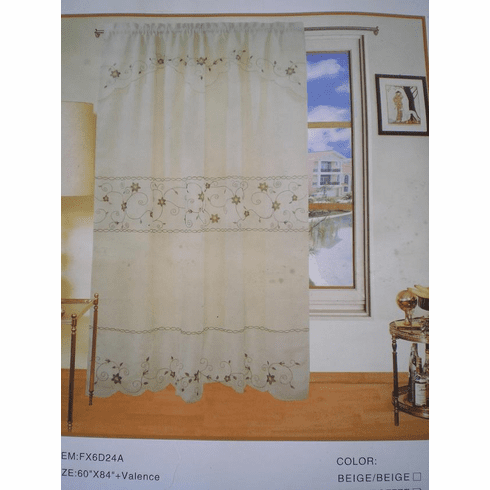 Style: Embroidery based two layer windows curtains. Back linen is half transparency. The panel, back line and valance are sewed together.